These pages serve to provide a starting point for young researchers who are looking for great role models in the fields of science, engineering, inventing, and computer science. Much of this material comes directly from Wikipedia, but at the bottom of each entry in Wikipedia you can find other sources for the work and should look at some of those as well. Good luck hunting up others. Senator John Ruggles of Thomaston Maine 1789-1874. John Ruggles was issued Patent #1 for his invention (improvement) of a wheel for railroads. The Senator is also known as the "father of the US Patent Office" for working to establish the patenting system here in the United States. John was not issued the first patent, a number of patents were issues prior to his in 1836, but they were not numbered. The Stanley Brothers. Francis and Freelan Stanley, from Kingfield, Maine, built up the world's largest automobile company until around 1908, when the internal combustion engine took over the field. Frank Gilbreth, Sr. (1864-1924) A time-motion and efficiency expert. Born in Fairfield Maine. Made famous by the book and film "Cheaper by the Dozen" of 1950. Married to famous psychologist and industrial engineer Lillian Gilbreth. The couple had 12 children. Frank Crowe. Chief engineer for the Hoover Dam (largest dam ever built at the time). Graduated from the University of Maine in Orono. Sir Hiram Maxim. Inventor of smokeless gunpowder and the Maxim machine gun. From Sangerville, Maine. Also known for building a railed airplane that lifted off the ground, but was restrained by chains to prevent it from going too high (more than a few inches) and likely crashing. John Frank Stevens. An engineer from West Gardiner, Maine. Stevens attended the Maine State Normal School (now University of Maine at Farmington). 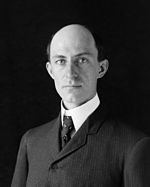 Stevens was instrumental in his work with the Great Northern Railroad (where he rose from a location engineer to the general manager) and for serving as 3 years as the Chief Engineer for the Panama Canal project during its construction. Albert Einstein (1879-1955). Dr. Einstein was one of the twenty centuries most renown scientists. Developing the General Theory of Relativity and the E=mC^2 formula to relate how energy and mass were connected. (1847-1922) An American scientist, inventor, and engineer, Bell is credited with many inventions. His patent for the telephone (Improvement in Telegraphy) in 1876 is the widest known. Bells' first invention was at the age of 12 where he helped design and build a wheat dehusking machine. Orville and Wilbur Wright, noted as the first humans to achieve powered flight in 1903 with the Wright Flyer I. 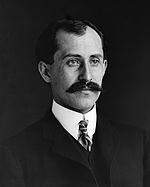 But there is much dispute in the aviation world if the Wright brothers were the first or if Gustave Whitehead predated their flight. 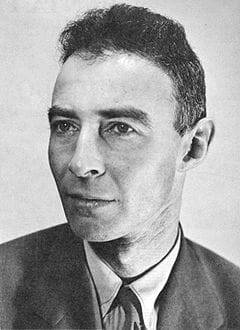 J. Robert Oppenheimer (1904–1967) Theoretical Physicist. Head of the Los Alamos Laboratory during WWII, Location where the atomic bombs were first developed.